This year’s California general election ballot includes no less than four bond measure propositions. Generally speaking, bond measures provide funding for major investments (each of the four bond measures authorizes investments in the billions of dollars) that the state could not otherwise provide from the general fund. The bonds become debt that the state repays over the subsequent decades. It is fair to question the value or the necessity of taking on debt (and the requisite interest on that debt), which inevitably becomes the burden of the taxpayer. It is fair to question whether the cost of servicing debt should necessarily outweigh or displace other priorities in the state budget. At the same time, it is worth considering whether the value of a large influx of immediate funding outweighs the long-term costs of taking on debt. And after eight years of Jerry Brown’s notoriously balanced-budget-focused veto pen, it would not be unreasonable to wonder whether voter-approved bond measures have taken an outsized role in our state’s budgeting process (and whether perhaps this has relieved our state legislators of too much of their responsibility of making difficult budgeting decisions). “Official” arguments against each of these measures focus on the long term impacts of carrying these debt burdens. It may be true that each of the four propositions discussed here should have been adequately funded from the state budget to avoid the need for voter-approved bonds. And yet, when faced with urgent needs and pressing concerns—housing, homelessness, water, and healthcare—the need for immediate solutions, and the benefit of those solutions, outweigh the burden of the long-term debt. We recommend a YES vote on all four bond measures. Prop1 authorizes $4 billion in bonds to support a variety of affordable housing initiatives and loan programs. Programs supported by the measure include a home loan program for veterans, a loan program that supports developers of low-income multifamily housing, programs to support transit oriented development and infill housing, home purchase assistance programs, and more. Given California’s acute housing crisis, and the inability (or unwillingness) of the market to provide new affordable housing, these programs are desperately needed. The programs funded by this bond measure may not address all the housing needs in the state, but they are certainly a good place to start. Prop 2 is somewhat unique among the bond propositions on this year’s ballot in that it is basically providing an update to a previous ballot initiative. In 2004, California voters approved a ballot measure that created an additional 1% income tax on incomes over $1 million to fund mental health services. Prop 2 would authorize the use of a portion of those funds to service $2 billion in bonds to provide homelessness prevention housing for people in need of mental health services. In other words, this measure considers the provision of housing to be an integral part of mental health services, especially for those most at risk of falling into homelessness. The homelessness crisis in California (closely tied to the housing crisis mentioned above) continues to worsen. And for people in need of mental health services, stable housing is an essential component of reliable access to those services. It seems only reasonable to leverage an existing funding source to provide the housing that will help support the mental health services for the people most in need. Water is a perennial source of conflict in California, and Prop 3 is no different. The conflict over Prop 3 is not whether we need to invest in our water infrastructure, but whether the programs that this measure funds are the “right” ones. 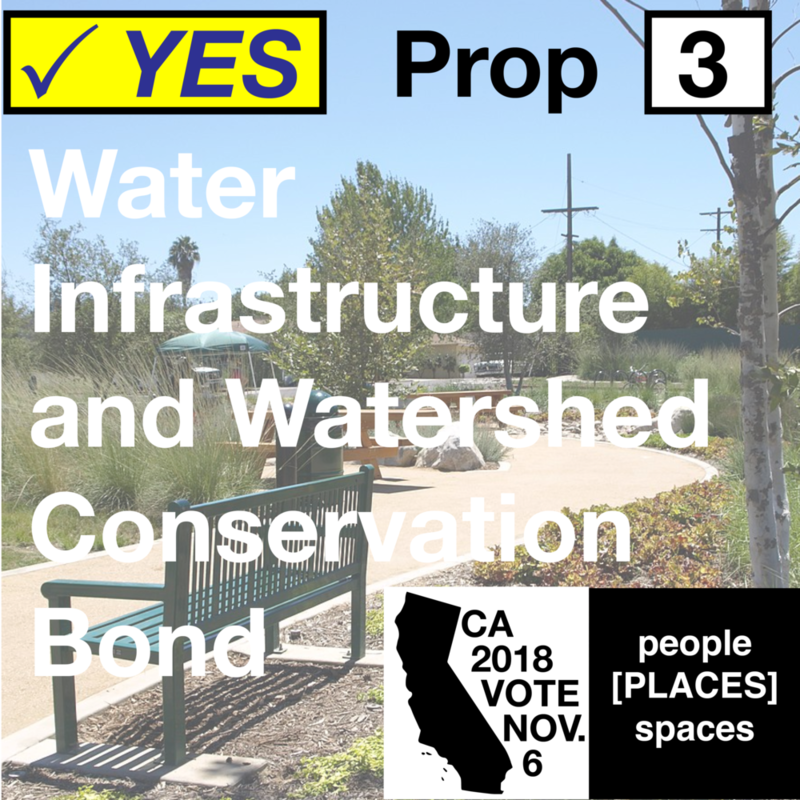 Prop 3 authorizes $8.877 billion (the largest of the four bond measures) to support watershed restoration and conservation, and groundwater sustainability programs. The measure also supports infrastructure improvements to ensure safe, contaminant free, and affordable drinking water. Perhaps most importantly, Prop 3 guarantees that about 16% of the funds generated are dedicated to state-designated disadvantaged communities, and a further 30% of funds prioritized for disadvantaged communities. While many Californians take their access to clean, safe drinking water for granted, there are still many communities here in Los Angeles County and throughout the state that lack access to contaminant free drinking water. Considering the tragedy that continues to unfold in Flint, Michigan, we should be doing everything in our power to guarantee all Californians access to safe drinking water. After all, water is life, and if these bonds can also help restore and conserve our states watersheds, while helping maintain long term sustainable groundwater supplies, all the better! Vote YES on Prop 3. 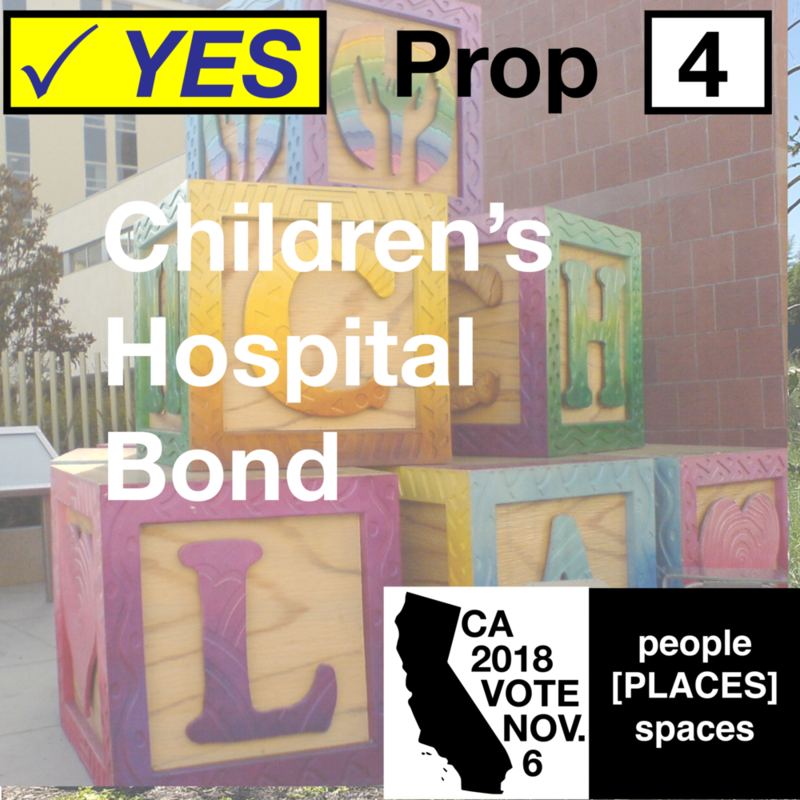 At $1.5 billion, Prop 4 is the smallest of the four bond measures. It would fund capital improvements at eight non-profit children’s hospitals throughout California, and five University of California hospitals (plus a small allocation of funds to support other hospitals that provide care for children eligible for California Children’s Services). It’s hard to argue against funding for healthcare for children, and with the rising costs of healthcare, and restrictions on reimbursement from support systems such as MediCal, it’s no wonder that these hospitals must repeatedly ask voters for support (voters approved similar, but smaller, bond measures for Children’s hospitals in 2004 and 2008). Until we have a truly equitable healthcare system that could make such bond measures redundant, the least we can do is ensure that California’s children have the facilities and the care they need.